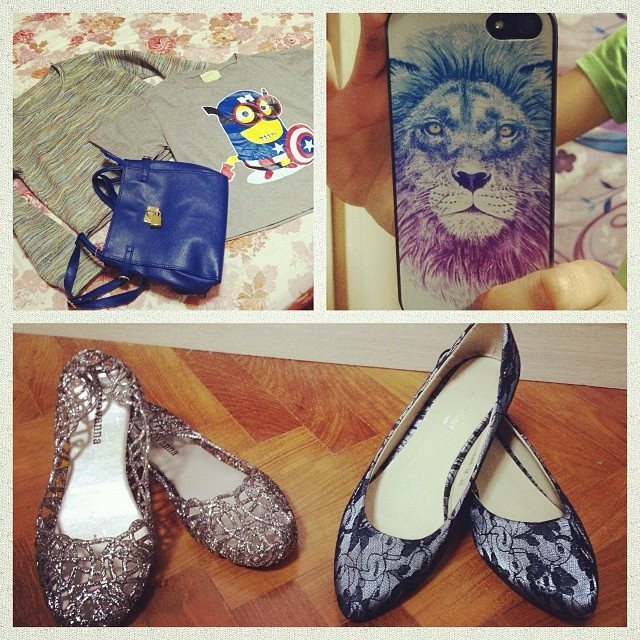 Shopping spree #1: Bugis Street. One of my favourite things to do in Singapore, apart from hanging out with loved ones, is shopping. I love to shop. I probably have a bit of a problem…oh well! Mum and I decided to go to Bugis Street today. 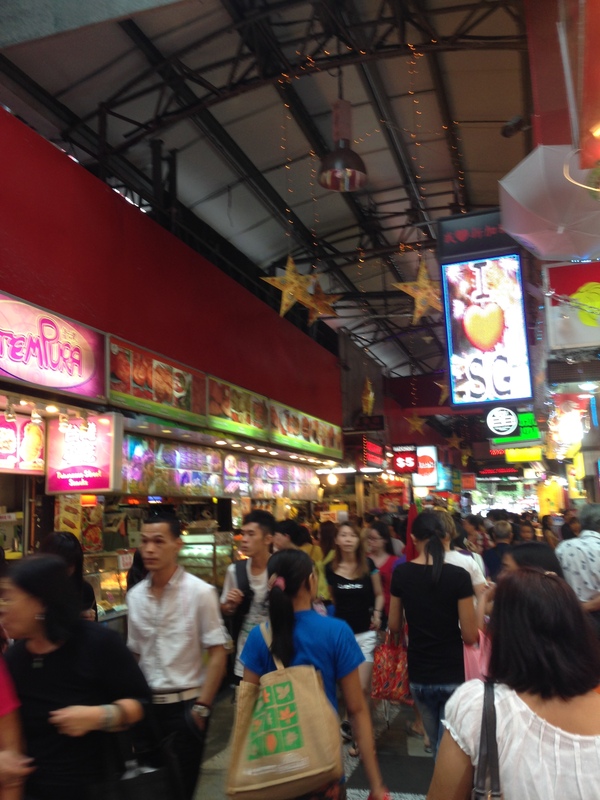 It is the largest street shopping precinct in Singapore and is easily accessible by public transport. It is all indoors and air-conditioned, which is a massive plus if you’re familiar with Singapore’s weather. Mum and I spent close to 3 hours wandering around all 3 floors. I started getting claustrophobic after a while, so we left. I didn’t get a chance to take good photos because I was too busy shopping hehehe. But, as you can see, you have to be prepared for crowds. You must also be prepared to navigate through small corridors. And, if you’re little like me, you might get jostled around a bit. Chances are, you will probably get lost. It’s okay, finding your way out is easy. What’s difficult is finding your way back to that one store where you found that one pair of shoes you couldn’t decide whether you wanted. My advice? If you can’t bear the thought of walking away without it, buy it. Bugis Street has a wide range of clothes, shoes, jewellery, bags and phone accessories. Prices range from as cheap as SGD$6 for a T-shirt to SGD$39 for a pair of shoes. Negotiating (or bargaining, as Mum calls it) is permitted. Don’t be afraid to ask for a lower price. The majority of stores have a “no trying” policy for their clothes, which is inconvenient at times. Then again, a lot of the garments are “free-size”, meaning that one size fits…well, most. Be very careful in checking the quality of the products. I have come across some that are below par, but you can definitely find some good quality stuff. Afraid you might get hungry while shopping? Don’t worry, there’s street food on the first floor. Personally, I’ve never actually tried the food there, but there are constant queues so I’m guessing it must be ok. That or everyone is just really hungry all the time. This entry was posted in The Places I Go. 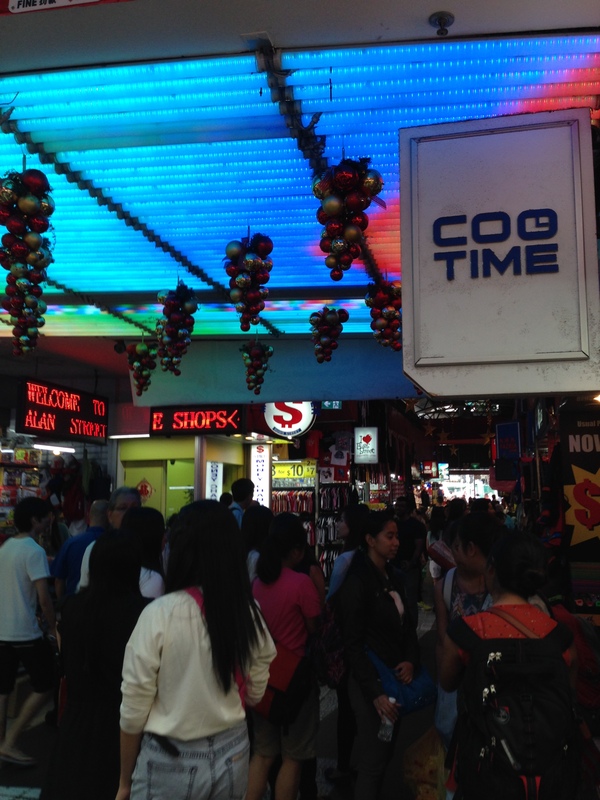 and tagged Bugis Street, shopping, Singapore, travel. Bookmark the permalink.